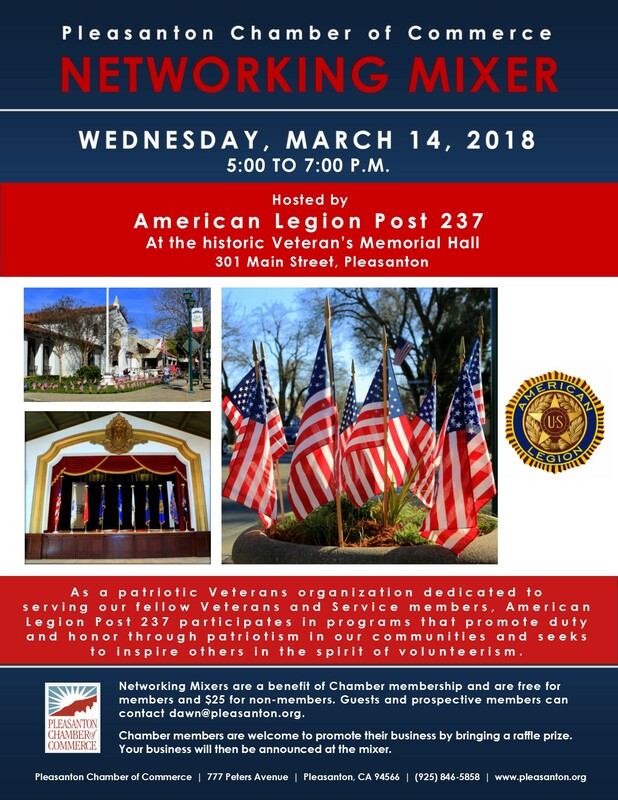 Hosted by American Legion Post 237 at the historic Veteran’s Memorial Hall in downtown Pleasanton. As a patriotic Veterans organization dedicated to serving our fellow Veterans and Service members, American Legion Post 237 participates in programs that promote duty and honor through patriotism in our communities and seeks to inspire others in the spirit of volunteerism. Learn more about American Legion Post 237 here. Visit American Legion Post 237 on Facebook here.